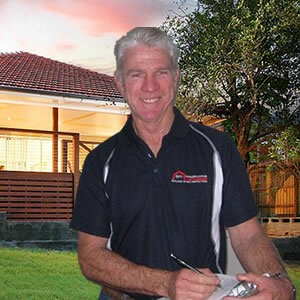 The Director and a Licensed Building and Pest Inspector of BPI Brisbane Central – Building and Pest Inspections, Noel Milne has been in the building industry since 1970 and has over 40 years’ experience. Commencing at the age of 15 years Noel commenced his carpentry and joinery apprenticeship which he completed in 1974. In 1977, at the age of 23 years, he fulfilled his dream of becoming a licensed builder. Noel then continued on to personally construct over 150 homes and through his building companies and under his guidance, he has successfully constructed in excess of 3500 homes. During the period in the early 1990’s, when chemical termite treatments were being phased out, Noel was a member on the HIA and QMBA committees involved in the introduction of the physical barriers which replaced these chemicals. This has provided him with the knowledge and understanding of the complex nature of termites and their enduring ability to enter man-made structures. Noel has acquired his building and pest inspection credentials through years of experience in the building industry. He has a clear agenda to provide a professional service to bring peace of mind to any prospective home buyer or owner. Noel carries out all the Inspections and prepares all the reports personally so you can be assured you are having your property checked by a qualified, experienced and licensed inspector. Noel rings the client to discuss the property inspection before sending the report and he also goes beyond what other inspectors offer by being available to talk to all clients after they receive their report. Contact BPI Brisbane Central on 1800 663 390 or mobile 0409 960 095 or email us here. Services: Pre-Purchase & Pre-Sale Building & Pest Inspections Pre-Auction Building & Pest Inspections, Building Inspections Pest Inspections, Tax Depreciation Survey & Schedules. Commitment to provide Outstanding Service, thorough inspections and professional advice. Pre purchase and existing home inspections. One inspector does both building and pest inspection. Totally independent and privately owned. Use of the latest thermal image technology.